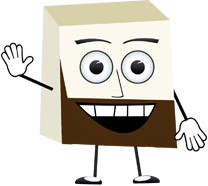 Hello friends, Eric the Beard here. As John mentioned in his last post before heading out on vacation, he currently has over 300 pending questions from all of you cleanly-shaven blogger folks, with more and more coming in each day. So in an attempt to help him catch up on these requests, I’ve sought the help of my bearded friend and colleague Everett (aka bribed him with a TON of tofu) to help answer as many general, dining, and special requests as possible, in order to ensure that no time-sensitive ones are missed and that John is as caught up as possible when he returns, so that he can continue to help all of you in a timely and efficient manner. We are sailing on the Dream January 8, 2011. Room #8296. We would like the Early Seating or the Any Time seating and were told we could only get the Late Seating. Both my husband and I are upset about this as we always eat at the early seating. Of course this does not ruin our trip and we will make the best of it, but, wondered if you could help us out. Is there anything that can be done? Thanks so much and keep up the wonderful blogging. You are so comical. In addition, wanted to mention how cute Kye is. We have a 19 month old daughter who is cute as a bug. We’ve contacted the maître d’ on the Carnival Dream and hope that they will be able to accommodate your dining request. And Kye is cute, isn’t she? On our last few cruises on Carnival Legend it’s been very gratifying to note Carnival’s continuing efforts to maintain a high level of cleanliness on the ship. Any accidents are promptly marked and remedied and it’s rare indeed to visit a public area day or night and not see a crew member somewhere dusting and wiping. Which makes it all the more surprising to note the condition of the lounges in the beautiful Russian themed Firebird Lounge. There is every indication that they have not been cleaned since Dame Judi pushed Legend down the ways in ’02. Heaven forbid that Gerry Cahill should fancy an evening of karaoke. He would not be a happy man. Perhaps a nudge from you would prompt housekeeping to take a look. Tell you what – if you’ll let the Maître d’ for the January 2, 2011, Legend cruise know how great table #131 works for a couple of old f…., uh, folks named Stevenson in cabin #7254 we’ll be sure and get an update off to you on what, if any, action has been taken just as soon as we get home. We’ll be happy, you’ll be happy and Gerry never need know. And, John – the CD schedules are of interest to most of us, is there a Maître d’ schedule posted? We’ll contact the Carnival Legend the maître d’ on your behalf and see if they’ll be able to help fulfill your request. Also, we’ll have someone take a look at the Firebird Lounge and give it some lovin’. While there isn’t a schedule of maître d’s available, the 2011 Cruise Director schedule is now available. We recently added a link to it on the left sidebar of John’s blog. You can also find it here. Posted here on the Blog end of Sept – start of Oct. Can’t remember the blog and cannot see it anymore, in the Blog I thought I put it in. Oh well. Just wanted to let you know how much I like the Facebook thingy updates and the Blog thingy here, very funny. Oh!! first off I do hope the Crew member who was airlifted the other day is OK!! So sad when something like that happens. I have a request for you John if you could please. We are traveling on the Freedom on Jan 1st of 2011. This Cruise is a gift to my Wife’s Parents who celebrated their 50th!!! Anniversary this year (2010) we have 9 Cabins booked with Family to join them on this Cruise. Wondering how we could make this time special for them with a surprise of some sort, any Ideas? I will list off the cabin numbers here and give you the first names and Cabin number of the Happy couple. They are Harry and Elieen in Cabin 1263, the rest of the cabins are 1262 (Mine), 2370, 2211, 1254, 2207, 2212, 1463 and the last one I do not know yet as neither do they, lol. We sailed on the Splendor a few years ago and really appretiated (sp) the little something you provided for us then, and I know you are very accomodating to your Bloggers here and hope you can be of some assistance this time around. Thank you in advance. I hope your wonderfull Girls are doing well. I love your blog thingy and am just started looking for you on Facebook. I enjoy your blogs especially when you talk about your family. What I don’t enjoy is those who believe Cruise Critic is the be all and end all and come ‘running’ to you to complain. I like CC because it has been invaluable to me in planning our first ever cruise. We (Linda,Roland,Joshua & Brennan) are cruising with Carnival on the Miracle, December 29 (room7256). Would it be possible to send a little something for my husband, Roland? It has been a tough 18 months for us, with my being ill and he has been fantastic throughout. I am sending him to the Chef’s Table for a Christmas gift, but I think it would be nice if someone else acknowledged him also. Keep up the blog and Godf willing, Roland and I shall be with you on the Transatlantic crossing on the Magic. Thanks for the kind words about John’s blog and Facebook. If you haven’t found it yet, just go to facebook.com/JohnHeald to become John’s fan. We’ll be sure to pass along your request to the Carnival Miracle, so that they can try to do something special for you guys on your upcoming sailing. Hope you have a great cruise! My wife & I are going on our fifth cruise this coming January (All with carnival). My wife is less excited about this cruise than others previously because I have booked us on the Destiny, whereas we have always sailed on Fantasy-class ships (Elation twice, Fantasy, Fascination) in the past and she is comfortable with the layout of those ships. Could you possibly post something nice about the Destiny ship that I can show her to help get her as excited as I am about trying out a new class of ship? Also, we have always gone as part of a group, but this cruise is just the two of us. Is there any way we might get a table for two with a window view? We are sailing on the Destiny on January 6, 2011 and have the late 8:15 dining and are in cabin 1233. One final question/request – do you know who our CD will be on this cruise? Can we please have the WONDERFUL Risa Barnes for just four days? We sailed on the Fantasy with Risa in May 2009 (during the sneezing pig epidemic) and Risa was FANTASTIC! Two scheduled ports of Cozumel and Progresso turned into 6 hours at Key West plus 4.5 days at sea and Risa and her staff somehow made that all OK and even FUN – we love Risa!!! We also love the blog thingy and hope to one day sail with YOU as our CD when you are on a ship sailing from the East coast! Thanks for doing this blog and the facebook thing so that can get our daily “Carnival fix” even when we are not on board! I’m not sure what the odds are of ME ever being your cruise director (kidding — I know what you meant), but in this case, Risa won’t be your cruise director. Brent Loyer will be the cruise director on the 1/6 sailing, and I’m sure you’ll have a brilliant time. What could I possibly say about the Carnival Destiny, having never sailed it myself, to help your wife feel more comfortable with it? Not speaking from experience, I feel as if the most important thing is the attitude from which you approach it. I quite enjoy the thought of exploring a new ship, but I understand that not everyone feels the same way. Perhaps remind her how she managed to feel comfortable on her first Fantasy-class cruise. If that doesn’t help… well, you tried! You can also remind her that all ships provide deck plans, which you can carry around with you. Just make sure to pick one up when boarding. Keep it with you at all times and within a couple of days, you’ll likely find that you won’t need it quite as much. We’ll send your dining request along to the maître d’, and hope you’ll enjoy your cruise! Also Hanukkah this year is well before Christmas (It it the first week of December) so there are can not be a separately scheduled event to mitigate the Christmas Carols, shopping opportunities, etc. Meanwhile, it is nice to read that Hanukkah will be observed upon the Ship. With this year’s Hanukkah having already passed, I can only hope you enjoyed your sailing. To answer your question, TV-watching is not a regular event for the children in Camp Carnival. Movies are sometimes shown, but when that does happen, it will appear in the Camp Carnival schedule, listed with the rest of the events. You are the greatest and I have no idea how you do all that you do. My family (wife and two sons 6 & 9) sailed the Valor in January this year and then the Fantasy in August. What can I say, we love Carnival. We (the whole family again)are sailing on the Carnival Miracle on January 14th (Cabin # 7189). We will be celebrating my wife’s birthday. I am planning on taking her to Nick and Nora’s as a special surprise. She is a very special lady and keeps our family running. My two boys are especially excited to hit the high seas again. They are hoping to get another “ship on a stick”. They got one for the Valor, but not on the Fantasy. Hopefully on the Miracle. Your blog thingy starts my day off right. I will admit, I have not read your blog but for a couple months. My mother kept laughing at the computer all the time (sometimes crying) and talking about John. Like she had a friend “John”. Finally I got online and found you. Read your blog and have been hooked since. I am now booked with my mother and a friend (who we met on a Carnival Cruise in 2008) for your Bloggers Cruise in February 2011. I can’t wait to meet you! I have a small request. Will you please send them a little special something just to say welcome to your first of many cruises? And show them how personal Carnival really is. And if you could sneak me a ship on a stick (you sent my mother one on her last cruise and I am jealous). I understand if you can’t, you are a busy guy. No matter what happens, I know Carnival is the only way to cruise! Our cabin numbers on the Elation for December 18th, 2010 are U155 (Sharon and Brenda) and U119 (Myself and Heather). Thanks for all you do John you truly are a special guy! Look forward to many more days of your blog and your facebook thingy. 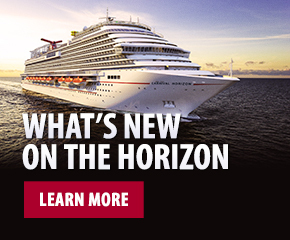 We’ll be sure to get in contact with the Cruise Director on the Carnival Elation and see what they can do for you guys, to make their first time aboard yet a little more special than it would normally be. That’s all for today, but come back tomorrow for a whole new, MUCH BIGGER, batch of Bearded Q & A.